A myriad of musicians will be hitting the WHO NEEDS SLEEP stage during the 36-hour event. Check out the lineup, get a listen to their music, follow their social channels, and get set for a great set of performances! Bad Karma is a four piece classic rock/alternative rock cover band from Dallas/Fort Worth, TX. Each member brings their own unique style and sound with influences ranging from Pink Floyd, Kiss, and Stevie Ray Vaughan to more mainstream rock such as Collective Soul, Godsmack and Tool. 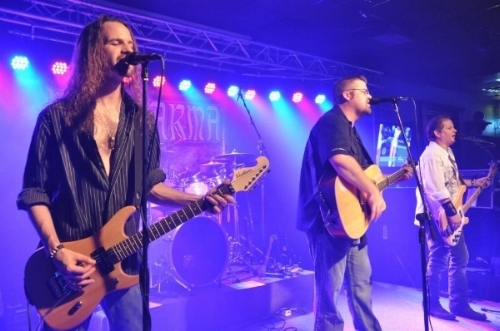 For over fifteen years Bad Karma has played all over North Texas rocking hard and melting faces at some best live music venues around. All-girl power trio NOT UR GIRLFRENZ is taking the music scene by storm with their own brand of high-energy songs, award-winning performances (not kidding…They have actually WON stuff!) and a fast-growing fan base. 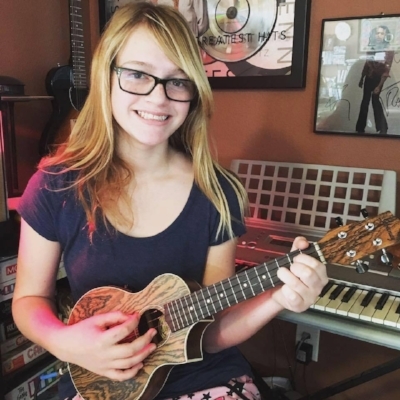 Fresh off their recent, SOLD OUT, tour with pop punk icons Bowling for Soup, NOT UR GIRLFRENZ is gearing up for a run on 2018 Vans Warped Tour (the youngest touring band in Warped's 24-year history). The band are currently busy in the studio recording their first EP of original material as well. Get a taste of what they have in store by checking out their new single “Never Stop” on Youtube, Spotify, iTunes, or wherever you stream music!! Recently, NOT UR GIRLFRENZ were featured in Reliant Energy's aptly-named "Girl Power" ad campaign with VO by fellow Texan Matthew McConaughey. 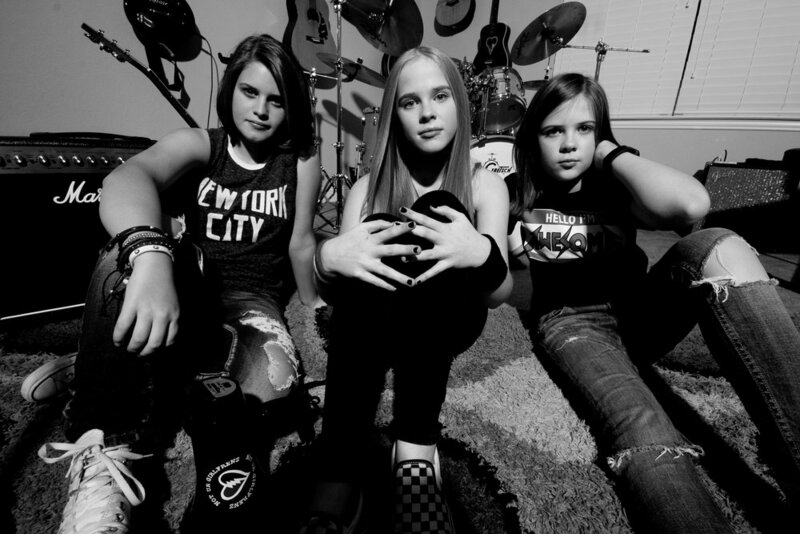 Liv Haynes (13) is a tour de force on guitar and lead vocals; Maren Alford (13) beats the drums like they owe her big money; and Gigi Haynes (12), keeps it sick and steady on bass. Managed by Jaret Reddick (Bowling for Soup, Phineas and Ferb), the band burst on the scene with a covers of the U2 classic "I Will Follow” and The Cure’s “Friday (I’m in Love) in late 2017. They haven’t stopped since! Grace Descending is a Christian Rock band that has been playing all over the state of Texas since 2011. Described as modern Southern Rock, their influences come from ZZ Top, Third Day, Jeremy Camp, Lynyrd Skynyrd, 3 Doors Down, Newsboys, and Casting Crowns. They have played Christian venues, mainstream venues, prisons throughout Texas, and even placed a VERY close second at a D/FW-wide Battle of the Bands in 2017 hosted by Gorilla Music. With Rob Ervin on vocals, Mark Nabonne on lead guitar, J Edward on bass, Tracy Smith on keys and guitar, and Marvin Villalobos on drums, their high energy show is sure to keep your hands raised in the air! Able Delilah is a Dallas based R&B/Soul band consisting of Texas natives, Kane Vinson, Samson Robinson, and Drake Fanning. Kane and Samson have been writing together since 2012 and formed multiple failed bands before establishing Able Delilah in 2017. Drake Fanning joined Able Delilah in late 2017 and has been the group’s drummer ever since. 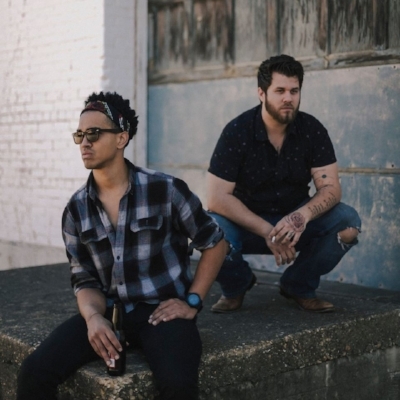 Able Delilah immediately began playing live shows around the Dallas area and working on their first EP, “Wasted”, which was released in April of 2018. The group is now working on their first full length album and drawing the attention of many local music lovers. Subject To Change, an established Dallas metro based band, delivers unique acoustic spins on favorite Classic Rock favorites from the 1960s through current day, and turns heads with unexpected "blasts from the past." Scott, Mark, Mike, and Bill all sing, providing a smooth blend of vocals with acoustic guitars, bass, and percussion. "After years of approaching my musical career subtly and without emphasis on my brand; I feel it’s time to make a shift. Music encapsulates and surrounds everyone, and tends to inspire each of us uniquely. With tremendous respect to those who paved roads before myself, as well as with hopefulness for the future of the industry; I am Sean Cole." "Goisagi is a Dallas/Fort Worth based taiko group with members recruited from all over the metroplex. Our goal is to be an active member of our communities by provide an exciting, percussive experience for a wide variety of cultural, athletic, and outreach programs. Our members have performance experience ranging from outdoor festivals and marathons, corporate events and classes, to on-stage productions. We hope to eventually a open a school with public classes so that we can share our love of taiko with a wider community."